Many years ago, I came across a project in Stitch magazine that used trapped objects. 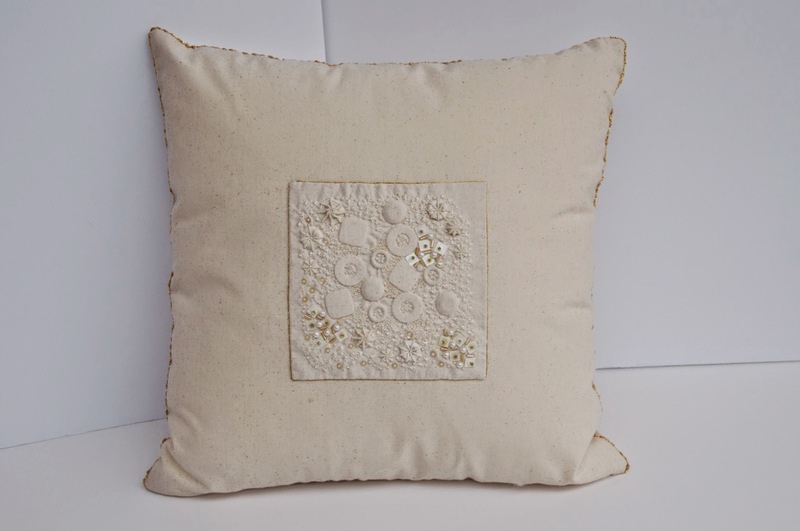 I liked the idea but didn't want to do that particular project, so earlier this year I made up a piece using trapped objects plus stitching and beading and then made it up into a cushion. I remember that project and love the way that you have adapted it and made it your own. This is a beautiful cushion.